In the latest InSight feature, Syngenta Technical Manager, Glenn Kirby, looks at the ongoing issues of soil pests, and assesses the implication of changing climate and turf management on predicting problems. It has been widely believed the different conditions that favoured chafer grubs and leatherjackets meant issues for course managers would typically be caused by one or other. However, discussions with greenkeepers at BTME, revealed that over a quarter had experienced problems as a result of both pest species. Most managed golf courses create artificial conditions that can make areas more attractive to both species of pests. Parkland courses with naturally wetter soils typically conducive to leatherjackets, for example, may artificially drain and lighten sand-based greens that makes them attractive to chafer grubs too. Irrigation on links’ greens could also create conditions to favour leatherjackets (below). Allied to that, changing climatic trends have blurred the historic east/west split that historically saw chafers more prevalent the east and leatherjackets more common in the west. Changes in weather patterns - and the adapting life-cycle of the insects - have certainly complicated predicting pest activity. 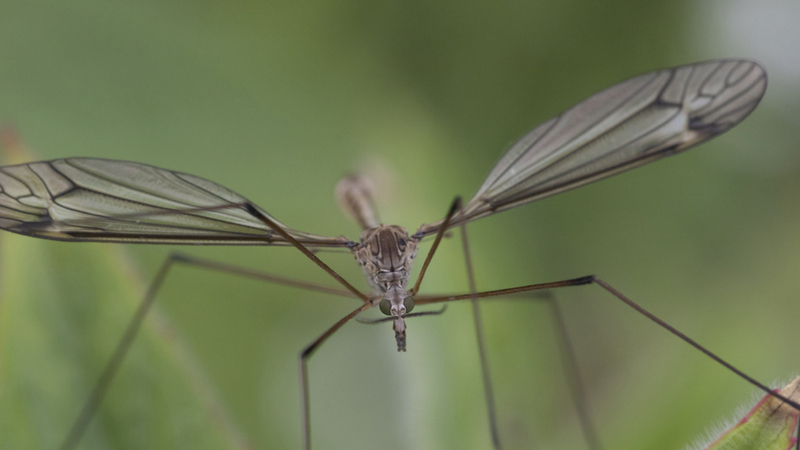 Last season, for example, the intense heat and dry conditions appeared to delay the emergence of crane fly - the adult stage of leatherjackets - for up to a month later than the July/August norm. Crane fly were even reported emerging and on the wing in October, making it difficult to target control of resulting larvae. 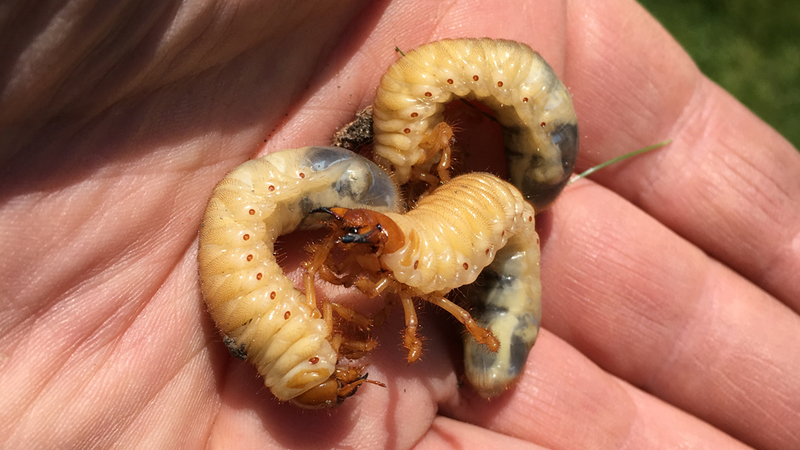 The unusually dry and hot summer also led to irrigated areas being far more attractive to breeding chafer bugs, leading to higher larvae populations in those areas than previously experienced. Milder winter months appears to have led to grubs feeding at much higher levels than in cold years leaving turf surfaces far more prone to damage from foraging animals. The differences in the life-cycle of each species has an impact on their turf effects, and efforts to minimise damage. The garden chafer, for example, goes through its entire life-cycle in one season - from egg laying, through all larval stages and emergence of adults; whilst the cockchafer larvae live and feed in the soil for three years to go through the same process. As our climate changes we could be vulnerable to attack from different species of insects. Some recent problems on the west coast of Cornwall, for example, fall well outside of any breeding pattern we’d normally expect to see from a chafer grub in the UK; this could be down to different species or climate change. Accurate identification and knowing your target pest life-cycle is essential. Knowing the different species’ cycle and emergence timing is crucial for any Integrated Pest Management (IPM) programme and control application timing. Where conditions are suitable for natural insects, we have seen that they adapt remarkably quickly and move to colonise new areas. The huge egg laying capability of insects means that even a few adults present can result in large numbers of larvae under favourable conditions. When other food sources are limited – some predators will search out and feed at relatively low pest populations. A hungry badger may seek out grubs in turf that appears unaffected by larvae feeding, resulting in extensive economic damage. The damage done by predators at low grub population levels far exceeds the damage done by the actual grub itself. The future looks challenging. Ongoing success will only be achieved by an integrated plan, much like successful management of disease. A number of measures, including nutrition, moisture, drainage and topdressing to improve plant health, along with insecticides where available and appropriate, could minimise the impact of the insect population problems. Yorkshire Course Manager, Rob Clare, has been evaluating a range of options to tackle the devastating effects of chafer grubs for members at Brough Golf Club. Read his experiences and evaluations in the autumn 2018 BIGGA Your Course magazine. Over the past summer, the evidence of root loss from larvae feeding was especially severe, leaving turf more susceptible to intense drought effects. Any measures to enhance root mass can help mitigate the effects of damage, including soil moisture management; Primo Maxx PGR and nutrition. Alleviating stress on turf plants during hot, sunny conditions becomes even more important at a time when root mass is typically reducing over the summer. Then, in the autumn, it becomes essential to maintain nutrition and conditions for root recovery. 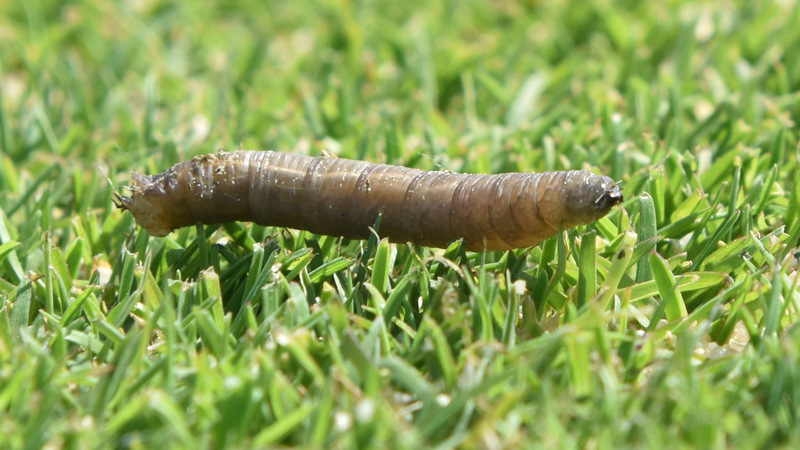 Where the populations of larvae can be minimised, through IPM measures and seasonal control of larvae in the soil when available, it gives better chance for turf plants to recover; reduces the risk of predators seeking out food and lowers pressure from reinfestation each year. Both chafer grubs and leatherjackets cause damage to turf through the larvae feeding on roots, which can be severe in localised patches. Leatherjackets in particular often occur in concentrated areas, leading to yellowing turf and die back. Subterranean tunnelling of pests will result in dangerously poor stability for sports and racecourse surfaces. Turf that is under stress or with poor rooting can be especially affected, and become more susceptible to drought and disease. 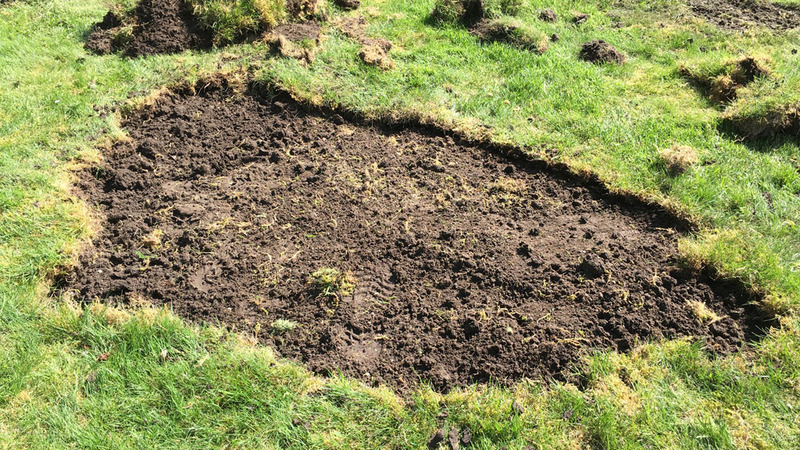 However, the most extreme damage can occur when badgers, birds and other pest predators root through turf in search of the grubs. Heavy rain, mild temperatures and irrigation can encourage larvae activity close to the surface and more attractive to predators.